Today, Keystone named Family Insurance Center of Seymour to its growing list of partners in the state of Wisconsin. 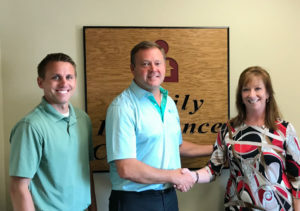 Family Insurance Center partner Darren Van Camp (left) and President Eric DeBruin (center) with Elizabeth Schenk, Keystone VP of Sales & Geographic Expansion. About Family Insurance Center — Family Insurance Center was established in 1988 by Robert Thiel. In 2009, the agency added offices in Greenville and Stockbridge, with a fourth location in Freedom opening in 2016. 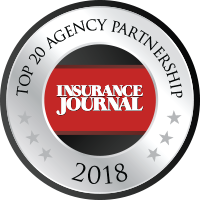 A merger in 2017 added offices in Chilton, Green Bay and Menasha. Agency president Eric DeBruin joined the agency in 1993, and he became owner and principal in 2004. He is active in the Boy Scouts of America. For more, visit www.familyinsctr.com.